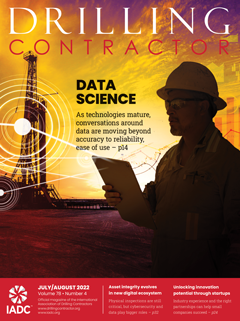 A sweeping change in equipment maintenance in the oil and gas industry is under way: Historical reactive maintenance (“fix it when it breaks”) is giving way to scheduled or preventive maintenance (PM) programs that have become the norm. 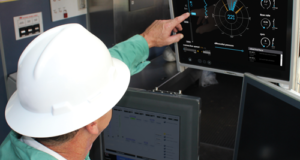 A key tool in this change is asset-driven PM systems that integrate real-time PM technology into land and offshore rigs and keep equipment on a scheduled maintenance program. 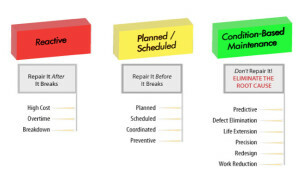 Figure 1: Condition-Based Maintenance anticipates the needs of the equipments and extends equipment life. 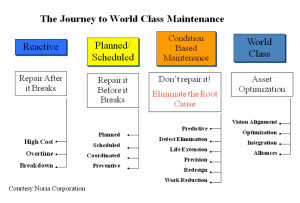 Condition-based maintenance (CBM) is a concept grounded in eliminating the root cause of equipment failure, anticipating the needs of the equipment and extending equipment life (Figure 1). Through constant system and fluid monitoring, CBM uses technology such as oil analysis to determine when maintenance is required. Consequently, by allowing CBM tools to predict maintenance performed only when needed, maintenance costs are significantly reduced. With the proper use of CBM, routine maintenance such as safe extension of oil drains and overhauls can be accomplished, and the operator is alerted that a potential problem should be immediately addressed before it becomes a critical problem. 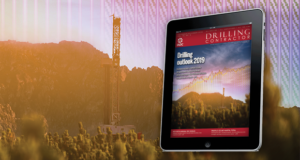 Nabors Drilling International Ltd (NDIL), a subsidiary of Nabors Industries, recognized early on the advantages of adopting CBM to optimize its 130-plus land and 24 offshore platform rigs throughout 24 countries in a variety of drilling environments. Two advanced technologies that NDIL implemented in its CBM program were bypass engine oil filtration and oil analysis. Bypass oil filtration allows lubricating oil to be slowly siphoned out of the engine, then cleaned of solid, liquid and gaseous contaminants, and the appropriate amount of base additives replenished to maintain viscosity and the oil chemical balance. By doing this, lubricating oil remains contaminant-free and is able to continue to perform the job for which it was intended – to cool, lubricate and seal the engine. Figure 2: Bypass oil filtration allows lubricating oil to be siphoned out of the engine, then cleaned and gravity-fed back into the engine. 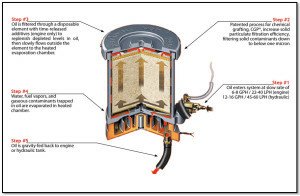 The clean oil is then gravity-fed back into the engine (Figure 2).At the scheduled oil drain interval, an oil sample is taken and the disposable filter element of the bypass system is replaced (Figure 3). These actions are non-disruptive as both can be performed while the engine is running, and both take only a matter of minutes. 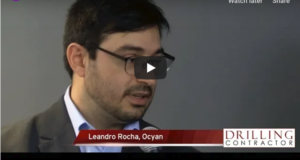 Oil analysis provides instantaneous and continuous monitoring of the oil’s condition, including viscosity, amount of abrasive solids and TBN, all of which are indicators of the engine’s overall health. As long as the sample continues to return the result that “oil is good for continued use,” the engine oil does not need to be changed. Figure 3: The disposable filter element of the bypass system is replaced during the scheduled oil drain interval when the oil sample is taken. 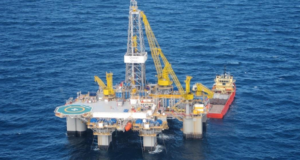 NDIL first evaluated the benefits of bypass oil filtration in 2009 on CAT 3512 generators used to power oil rigs. Puradyn Filter Technologies’ TF-240 model were used, providing microfiltration for engines with an oil capacity of up to 85 gallons (322 liters). Used in multiples, the TF-240 can fine-filter engines that hold 400-plus gal of lubricating oil. 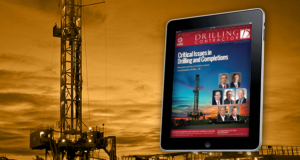 When oil analysis results showed that drain intervals on equipment used in international operations were safely being extended from 500 hrs to 2,500 hrs, regardless of low or high-sulfur fuel content,NDIL decided to outfit all rig generators throughout the field. 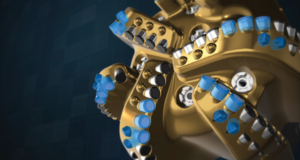 The following year, Nabors Drilling USA (NDUSA) installed more than 700 of the bypass systems, extending oil drain intervals from 1,000 hrs to 3,000-plus hours. NDIL has advanced the next initiative to implement an onboard oil condition sensor. In taking the program a step further and implementing the sensor, NDIL will now be able to monitor its engines’ oil condition in real time, all the time, while the engine is operating. 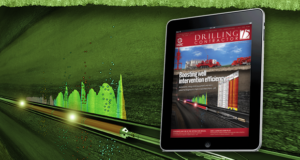 NDIL, working with another subsidiary, CANRIG, were able to incorporate the engine oil condition sensor monitoring capabilities into CANRIG’s existing myWells.com, a browser-based software platform that provides real-time well data gathering and distribution. Figure 4: NDIL has taken progressive steps away from standard preventive maintenance. 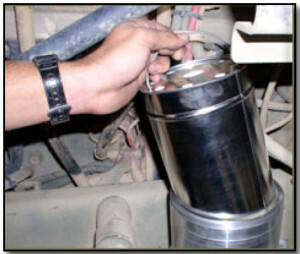 The three steps taken by NDIL – bypass oil filtration technology, oil analysis, and an onboard oil condition sensor – will allow it to progress from the standard preventive maintenance program through the condition-based maintenance program into the new level of world-class maintenance (Figure 4), providing asset management to the organization. The progressive actions advanced by NDIL have not only led to millions of dollars in annual savings but also have had a significant impact on its carbon footprint reduction in the countries where it operates. 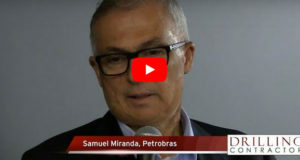 NDIL estimates that by using bypass oil filtration and oil analysis, annual savings in new oil purchases and waste oil disposal have exceeded US $5 million. 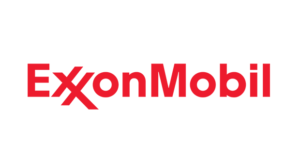 This translates to an annual reduction of 373,156 gal of engine lubricating oil. 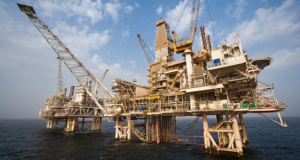 In addition, personnel requirements for oil drain maintenance are reduced by as much as 5,500 hrs. 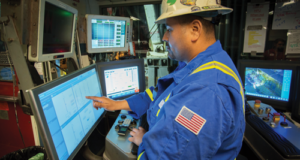 More than 1,500 bypass systems currently operate on Nabors equipment throughout the world. That really says it all. 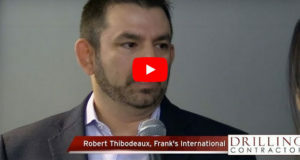 Seems the question now is – do I want to run my high-cost engines on persistently clean oil and save money and the environment or will I stay the course with the clean / dirty /clean /dirty / clean / dirty oil change cycles that do not address the larger particles that reduce engine performance, increase engine wear and accelerate the need for overhauls and reduce engine life.